Calculating monthly expenses. Image for illustrative purposes. Some 41 percent of young people (18-35 year-olds) in eight Arab states have said that they feel overwhelmed by financial burdens, while 14 percent have said they are in debt, according to a new survey by Ipsos. Moreover, 61 percent believe that it was easier for older generations to make money than it is now. The market research firm said that its MENA’s Millennials survey also found that young people had an entrepreneurial attitude, with 68 percent stating that they think starting their own business is important, but overall job security was a bigger concern. Some 71 percent said they consider their goal in life is to achieve a prominent position in their careers. The study, which was sent to media on Monday, involved 5,600 face-to-face interviews with young people in Saudi Arabia, Kuwait, the United Arab Emirates, Iran, Morocco, Tunisia, Egypt and Jordan. Mohammed Minawi, Ipsos chief client officer in the MENA region, told Zawya in an email correspondence on Monday that the interviews took place between May 2017 and February this year. Of those surveyed, 70 percent were in employment (88 percent males and 39 percent females). The study also found that food delivery and ride hailing apps are the most used among young people. Some 43 percent of those surveyed use food delivery apps, 40 percent use ride hailing apps, 36 percent use exercise apps, 20 percent use wearable technologies such as smart watches and 18 percent use calorie-counting and diet apps. In terms of shopping, the survey said that 43 percent of the participants shop on websites, 43 percent browse for items online before buying them from stores, 27 percent shop through social media outlets and 24 percent use their mobile apps to do their shopping. “The growth of online shopping is mostly driven by those in the GCC region, yet this more a function of infrastructural and accessibility factors as opposed to attitudes,” the report said. 62 percent were “never afraid to express their opinions”, even if they went against societal norms. “This is the first syndicated study covering millennials in the region, and with this broad scope of understanding multiple dimensions of their lives,” Minawi said. “Ipsos decided to do this now because this is a segment that is becoming more important for businesses and policy makers alike, a segment that is coming of age and becoming more valuable in a region that is the second youngest globally, and with sizable generational gaps. The significance of the segment comes in how different it is in certain respects when compared to older generations,” he added. In February, Dubai-founded ride hailing app Careem announced it has acquired RoundMenu - an online restaurant listing platform to use it to trial food delivery services. Its ride hailing rival, Uber, launched its UberEats food delivery service in Dubai in 2016, in Abu Dhabi in September last year, in Saudi Arabia’s capital, Riyadh, in February this year and in Cairo in May this year. UK-based food delivery app Deliveroo launched in Dubai in 2015. The e-commerce market in the Gulf Cooperation Council (GCC) is predicted to grow to $24 billion by 2020, from $19 billion in 2019, according to consultancy firm A.T. Kearney. 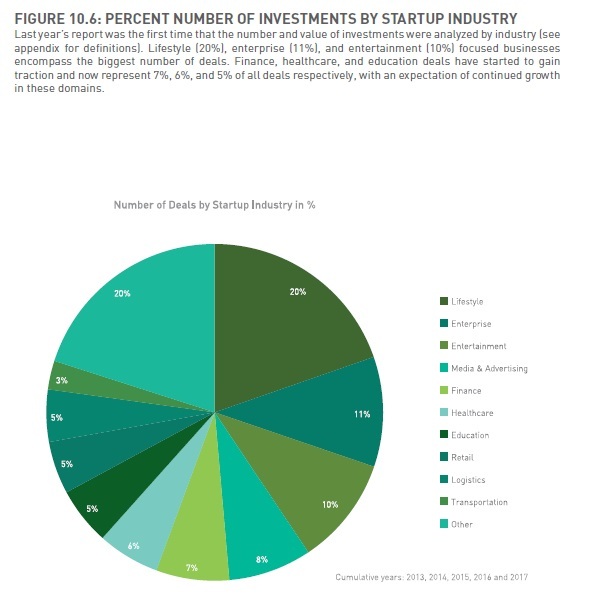 According to Arabnet’s State of Digital Investments in MENA report released in May this year, lifestyle, enterprise and entertainment businesses were the three most popular categories of start-ups backed by venture capital funding. Market makers: Has Souq.com sale piqued interest in venture capital?